Our 100% natural Whitening toothpaste delivers a thorough, fresh, flash-those-pearly-whites clean - without the need for harsh chemicals or nasties! Our three active ingredients, Baking Soda, Propolis and Organic Sea Salt work to restore the natural whiteness of teeth by gently removing stains whilst keeping bacteria in check. • The antiseptic properties of Propolis and Organic Sea Salt help to combat common oral bacteria, and keep the gums and mouth healthy. • The combination of carefully selected active natural ingredients and essential oils work together to maintain good oral health. • Baking Soda Sodium Bicarbonate or baking soda is a salt composed of sodium ions and bicarbonate. It is really effective in removing stains and discolorations from the surface of teeth, which gives teeth a whiter, brighter appearance. • Natural Propolis Extracts Bees are genius. As well as providing us with delicious honey (and, you know, keeping nature ticking) they also make propolis - a gloopy substance that since ancient civilisation has been recognised for its medicinal benefits. We&apos;ve included propolis specifically for its antiseptic cleansing properties, just what you want in a toothpaste then. • Organic Sea Salt Ever wondered why dentists suggest rinsing with saltwater after a dental procedure? The alkaline nature of sea salt increases the pH balance of your mouth, creating an environment that bacteria really, really hate. The sea salt we&apos;ve put in Grin is certified organic, so it retains more of the good stuff such as calcium, magnesium, silicon, phosphorus and iron. Opening the lid of this toothpaste you get hit with what smells like spearmint. Though upon reading ingrediants there is no spearmint, it is infact peppermint in it. That smell drew me in as I love it. Upon having a wee taste of this before putting on my toothbrush it has an amazing taste, unlike some of those other toothpastes that put you off. Looking forward to using this also on my four kids to try and make their teeth look white. This is a nice and easy to read packet, with all information clear and easy to read. On the side cute wee pictures to show what is good about it. Organic sea salt, suitable for the whole family for example. Something you want to see when you are looking for a good toothpaste. I also love the light blue colour it does make it stand out. 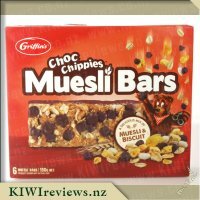 The product name is also on good placement on the packet, you look at packet and you see "grin" straightaway. After first couple of times using this proudct I could feel a difference. My teeth felt nice and clean and it felt like it got into all places it was meant to be. As a big coffee drinker its hard to try and have nice white teeth, but with this product I am looking forward to going and having white teeth finally. Will just have to make sure I use a little at a time so that it goes along way. Price for me is a little high but that is just personal choice. Anyone that knows me personally knows that I am quite self-conscious about my teeth and the state of them, this is why I usually try to hide from photos or I don&apos;t smile when it is being taken. Ever since I was younger I have had issues with my teeth, some of my adult teeth are crooked and discoloured. I have tried several of the well known brands of whitening toothpastes and after continued use I hadn&apos;t seen much improvement. When I saw the Grin Whitening Toothpaste was available to review I quickly sent my request through and hoped I would be selected, and thankfully I was. The cardboard box packaging is quite simple and it is easy to see that the brand is Grin. I like the fact that it clearly states on the front of the box what you are getting. I have been wanting to see a change in my teeth but was always worried about all the chemicals involved. When I saw that this Grin whitening toothpaste is 100% natural I really wanted to try it and see if it was effective. The tube is a good size at 100g and will last for a while. The toothpaste contains no fluoride, chemicals or preservatives, and wasn&apos;t tested on animals. 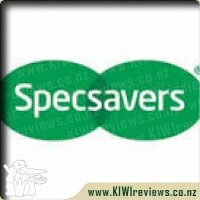 An added bonus with this product is that it is a product from a NZ company, and where I can I will also pick something made in NZ. I opened the toothpaste and had a sniff of the toothpaste and it wasn&apos;t too overpowering. The consistency was smooth, and when spread on my brush it wasn&apos;t too runny and wasn&apos;t too thick. I found that while brushing my teeth it was quite strong tasting and I wasn&apos;t overly a fan of it. After I had finished brushing there was an aftertaste which I had to wash away with a glass of water, however my teeth did feel a lot cleaner. Over the time I have been using it for I have noticed my teeth do seem to be getting a tad whiter and I look forward to seeing the progress until I finish this tube. I recommend this product to someone wanting a natural way to brighten their teeth, however do take note that there is a warning on the box regarding the Propolis that it may cause a severe allergic reaction. I have the most sensitive teeth and despite loads of dental treatment I still have particular teeth that ache and bleed during brushing so I generally use a gentle toothpaste, also being sensitive to gluten I do find some common brand toothpastes make me a bit unwell so I do opt for the more natural toothpastes like these. The natural ingredients like baking soda do a great job of brushing my teeth while not being too harsh on your gums or teeth. I know propolis has a great antiseptic property as have used it as an antibacterial cough lozenge in the past, the strong flavour can be quite intense so I did think this toothpaste might be very strong but it was not too bad. I could definitely taste the propolis but I could still taste the peppermint which gave it a very pleasant taste rather than a huge intense mouth burning taste. My gosh did my teeth feel clean afterwards though, in fact my whole mouth did you got that feeling that if you were to breath out you would blow out a gust of steam your mouth was that cold and fresh. After having used it for a while now I found that my teeth hurt a little less each time I brush in areas which have been very sensitive to brushing for a long time now. I love that it whitens the teeth and removes marks without harsh chemicals that can be found in some chemical based whitening toothpastes. I think the baking soda has been very effective and you can see the marks fade over a few days of brushing. I think I could definitely stick with this toothpaste as my regular as I have loved the effects and the fact that it has not been too harsh on my sensitive teeth and gums. I asked my mum to trial this with me, handy having another adult in the house to give a second opinion on something. She finds the flavour to be unusual but not an unpleasant one, she would buy it as she likes to buy eco friendly items and when you consider how long it takes for one person to get through a tube of toothpaste, a little over eight dollars isn&apos;t too bad. Her only query would be, how long would one need to use such a toothpaste before one could expect to see a change in tooth colour? 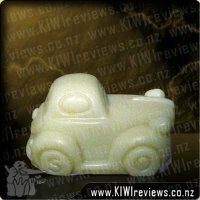 The packaging is nice and simple on the front, clear that you are getting something natural and made in New Zealand. On one side of the packet you get a nice, condensed version of what to expect from this, and the small illustrations suit up perfectly. The packaging tells me to expect fresh breath after using this product, but I have to say that after brushing my teeth, I didn&apos;t feel like I had fresh breath at all. The taste of this, I just didn&apos;t like, it&apos;s not that it had a bad taste but more that I couldn&apos;t taste anything, so I wasn&apos;t fussed about using it again. I have a tooth that is rather sesitive, I&apos;ve found propolis toothpastes have worked well before, but this one seemed to make it slightly worse, as well as feeling a lot thinner than other brands I have used. I can&apos;t see myself buying this in the future, but it seems to have converted my mother. I love teeth whitening products and have spent a lot of money in the past on whitening gel and black powder for brushing your teeth with. 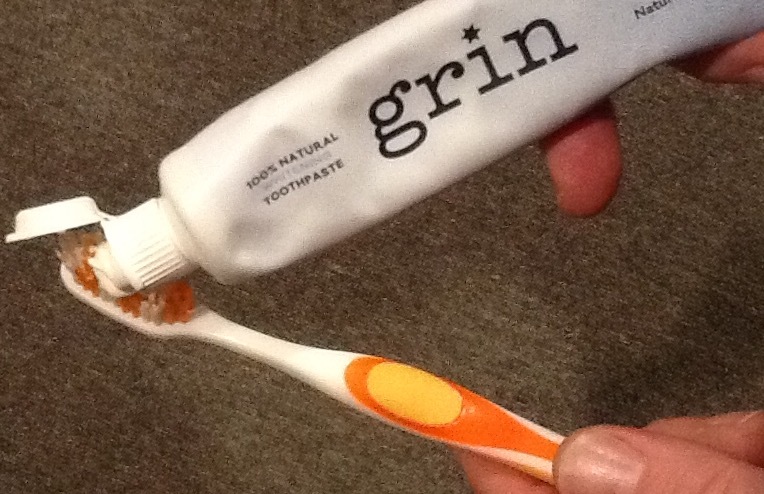 I was excited to try this Grin Natural - Whitening Toothpaste to see if it would work wonders. I personally love white teeth and the confidence it gives you and I find some whitening products leave your teeth feeling sensitive after using them. For the price of the tooth paste I would hope for good results if you were to be re buying it all the time. I also wonder how many tubes you need to go through and weeks of using the product to see results of teeth whitening. 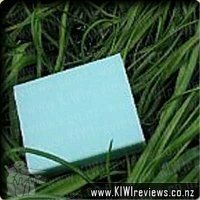 On first impressions it was different compared to other products I have used and I thought the menthol flavour I got from it while brushing my teeth was strong. after I would brush my teeth I had to breath a couple a times as my mouth was burning a little. I did miss the foaming you get from other tooth pastes and I found this a bit watery, I had to brush my teeth over the stink to catch all the drips. I have a habit of always multitasking while brushing my teeth, always walking around the house doing some quick easy jobs with one hand while brushing, especially in the morning when I am getting ready for work. Overall once I got used to the toothpaste I did start to enjoy it and I like that it is natural and better for you than other products. I do not feel that my teeth got whiter after using one tube and I am still undecided if I would buy the product again to use. I will definitely talk about it some mates and get there feed back on the product as I know a couple mates who have tried the tooth paste as well. I&apos;ve never found a whitening toothpaste with baking soda that I&apos;ve liked. Being highly sensitive to new tastes, I find it hard anyway to try new flavours in toothpaste. But after already tried the kids strawberry Grin toothpaste (with the kids!) and enjoyed the subtle flavour, I thought I would give one a try. The taste was pleasantly satisfying! While I don&apos;t like a strong minty flavour, I do believe that toothpaste should linger in the mouth longer than just in the bathroom. And linger it did! Even after 10 minutes I could taste and smell the mint flavour, even though it was only just recognisable in the mouth. I&apos;m yet to see full effect of the whitening part of the toothpaste, but I&apos;m hoping to the longer I use it. So many products call themselves 100% natural so I was keen to read up more on Grin to see if it was in fact true. The Grin website is so easy to navigate and read! Everything is set out in layman&apos;s terms so anyone can see just how natural their products are. Even though my kids have, and do, enjoy the strawberry kids toothpaste, I feel encouraged for them to be able to use this one if they ran out and I have no backup. 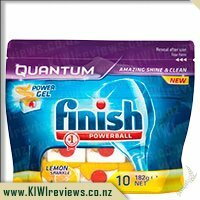 The packaging isn&apos;t flash at all but still manages to stand out on the shelves with the simple white and blue colouring. The price is on the high side so it may not be the first one I would reach for because of that, but it certainly is a favourable taste which I wouldn&apos;t mind repeating if funds allow. I am now definitely more keen to try the other toothpaste in their range, especially the Cool Mint. My eight year old daughter used to have beautiful white teeth, but since getting her adult teeth they have a tendency to have yellow spots on them especially on the front two teeth. She brushes her teeth regularly and when we visit the dentist there is never an issue besides that constant yellow that appears, so when I saw this toothpaste I naturally got excited, I thought yay all my prayers had been answered. The first night she was extremely excited to use it, the box and the toothpaste tube was white and I actually like the little blue decoration that was on the tube, for some reason it made me feel safe especially when it says naturally polishes teeth and SLS-free, no fluoride, no preservatives and my biggie not tested on animals. It was just so clean and bright that I felt reassured. We brush her teeth at night and she does her own in the morning. As soon as we started brushing she started screaming saying it stings. It wasn&apos;t her teeth that was the issue but the foam on her chin. 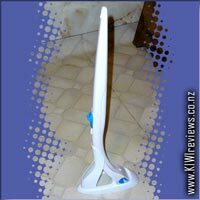 Although it does not foam as much, it can be awkward brushing other peoples teeth and on a couple of occasions my husband had brushed her chin and we had to quickly clean her face. She said she did not mind it on her teeth and said it kind of tasted like peppermint but kept repeating it burnt her chin. As she brushes her teeth in the morning it was fine but again had the same issue the following night. It has been close to two weeks now of brushing morning and night and to be honest the yellow still is there and not much as changed. My daughter does enjoy the toothpaste but I can not justify the cost compared to the fact that it still appears to have a yellow tinge. It no longer stings her on the chin but is more just uncomfortable and we have to have a flannel on standby at all times. I have also tried a couple of times but I find it does not feel like it covers my teeth and feels really light compared to my normal toothpaste. I also found my breath did not feel as fresh, but in saying that when I roll my tongue over my teeth it does feel smooth and silky, but it just did not taste clean. I currently use a whitening toothpaste that contains no fluoride, no parabens and leaves my breath minty fresh and I am always keen to try new alternatives. Grin 100% Whitening Toothpaste contains Baking Soda, Organic Sea Salt and Propolis Extracts sourced in New Zealand so I was looking forward to comparing this with my usual toothpaste. The toothpaste comes in a stylish box and the tube is similar in style to the box and almost has a matte finish so is easy to hold. Upon using, I must admit I was a little disappointed with the toothpaste. Although it has the same consistency as other kinds of toothpaste, the flavour wasn&apos;t very appealing and I expected it to really freshen my breath, especially as it contains spearmint and peppermint oil. There was no foaming and afterwards, although my teeth felt clean, they didn&apos;t feel squeaky clean like I&apos;m used to. Unfortunately, I only tried this toothpaste for a week so I can&apos;t say whether it was any good at whitening. I did try this on my daughters and it got a much more favourable response, however, for me, there was no wow factor. At $8.49, this is an expensive toothpaste when there are others that are more effective. We have recently made the switch to natural toothpaste but have yet to find a brand that my son likes. It was perfect timing when this product came up for review and I couldn&apos;t wait to try it. I like that this product has the support of dentists, it makes me feel more confident about using it. Unfortunately, it also smells a lot like the dentist&apos;s office which if you&apos;re anything like me and dread going to the dentist, is a bit off-putting. The packaging is clean and attractive and I like that the ingredients are locally sourced. Upon using I noticed that it was very thick and that there was very little foam to it which is not surprising given the lack of chemicals (this in no way reflects the effectiveness of the product). Unfortunately, the flavour really lets it down. It was nasty. The peppermint was far too overpowering to the point that I felt like it was burning my tongue. My teeth didn&apos;t feel the cleanest afterwards either. My son was the first to try it and I felt so bad for making him use it once I discovered how awful it was. I feel like it&apos;s a bit on the pricey side considering there are more effective and pleasant tasting products available. I like the packaging of the product; it has a high-quality design, with embossed components, and a nice white/blue colour palette. My teeth are quite yellow, and while I would like them to be whiter, I am also aware that many whitening chemicals can strip away enamel, so a product that involves natural ingredients is appealing, as it feels like the risk of damage to the teeth and nerves is reduced. 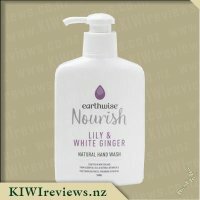 With 100% natural New Zealand ingredients, I was expecting to have a very simple ingredient list, but I ended up being faced with a list more extensive than my usual Colgate toothpaste, and most names I can&apos;t pronounce, let alone understand what they are. It is nice that they add more information in brackets (presumably what the ingredient originates from) but it does make it feel a lot less "natural" than advertised. The toothpaste tube itself is similar in colour and design to that of the outer cardboard packaging, and has a nice textured feel to it, making it easier to hold; it doesn&apos;t have that slippery plastic feel to it. The size of the hole that the toothpaste come out of is very large. Larger than that of my current Colgate toothpaste, which I find interesting as I learned many years ago, that the hole used to be a lot smaller, as you only need a small amount of toothpaste per use, but the hole was enlargened, to encourage people to needlessly use more, and as a result have to buy toothpaste at a more regular rate. So it begs the question, am I meant to use more toothpaste per session (i.e. are the natural ingredients weaker than their chemical counterparts), or is the design there to make you use more than you need in order to boost sales? Or perhaps it was just luck of the draw. Anything is possible. The paste itself has the usual consistency and texture that I have come to expect from toothpaste. It is creamy cotton in colour, and you can just make out the minty menthol scent. When brushing my teeth, it instantly becomes obvious that the flavour of the product is not very appealing. The flavour is strong and concentrated and lacks any sort of sweetness. It also lacks the ability to foam up like the other less natural toothpaste products and therefore remains rather watery, and feels a bit like you are cleaning your teeth with mouthwash. Not the most unpleasant thing I&apos;ve experienced, but definitely not enjoyable. My teeth are yellow because I am already very bad at brushing my teeth regularly. So the flavour of this paste might be enough for me to not choose the product in the future. Perhaps the "kids" strawberry flavoured toothpaste might be more my style, but this plain adults version is not overly appealing. There was a little bit of whitening that I noticed after using it four times, so the results are the only thing that would make me continue with this product. I will continue to use it until it has run out, but whether I will buy another to replace it, will depend entirely on how effective the whitening occurs long-term. I was intrigued by the idea of a more chemically free toothpaste that I really wanted to give the Grin brand a trial. Stating that it&apos;s free of chemicals, fluoride, preservatives and SLS I was sceptical that this would make my mouth feel fresh and clean and upon seeing it would naturally whitening my teeth I was excited to give it a go. Upon trying I hate to admit I was very disappointed, obviously, the chemicals in normal toothpaste makes it foam as this didn&apos;t foam at all and didn&apos;t really feel like it was cleaning. I also didn&apos;t enjoy the taste - I really like a minty toothpaste so my teeth feel nice, fresh and clean and not worry about having bad breath. I actually quickly cleaned my toothbrush and used my normal one which resulted in my teeth being a lot cleaner. Maybe if I persisted with it I may get used to it but as I had a choice as I had some normal toothpaste I decided to redo my teeth with that. I am actually really gutted I didn&apos;t love the Grin toothpaste, I think it&apos;s a great idea being chemical free and love that they are trying to be competitive against the big giants. Even though I don&apos;t like it I really hope they do well. It is quite expensive compared to the other brands which may be a big disadvantage to Grin as I don&apos;t think normal households could afford to buy it. For a toothpaste to replace my regular brand, it needs to offer a little something extra - and this brand does just that. Not only is it reasonably pleasant to taste, but it also has the effect of making your mouth feel fresher than when other brands are used. I was wondering if I was imagining this so I asked my daughter and son-in-law to try it as well; I had it for a week then I gave it to them for a second week, but did not tell them my own impressions in case they had other ideas. However, it was all good. We were unanimous. We all noticed that there was a pleasant menthol taste - strong but not overbearing - but none of that off-putting baking soda effect that some toothpastes have. Baking soda is like chlorine in a swimming pool: if you notice it then you have not used the right amount! Although soda is a wonderful all-purpose (and safe) cleanser, the proportions have to be correct. Of course, we all appreciate the use of natural ingredients - as with all products these days, we make a conscious decision as a family to buy eco-friendly items where possible, and that includes the products we consume or apply to our bodies. We tend to read the product label before making a selection. Even the Grin empty tubes can be recycled which is another plus for us. I appreciated the warning about possible allergies to propolis. I had never thought of this as a problem ingredient: I naively thought that propolis was one of those wonderful ingredients that could cure just about anything! It is all too easy to assume that because something is a natural product it has got to be the best for everyone, so it is useful to have a caveat on the instructions. I kept bees a few years ago and am aware of the danger of bee stings to those people who are sensitive, so it makes sense that other bee products might not be right for everyone. I just had never thought that one through. The toothpaste is quite expensive but you need only a very small amount so it may well work out more economical than cheaper pastes in the long run. So far we have had three people using it (for a week each) and there is still plenty left in the packet. It is also easy to dispense; it is quite soft so you don&apos;t have to squeeze too hard and then end up with three centimetres of paste on your toothbrush. We will be checking how long it takes before the packet is used up, but I think it is looking as though we may be buying it again for our two households. Certainly our first impressions are very positive. Schick Hydro Silk hydrates skin like no other razor can. This uniquely designed razor goes beyond an incredibly close shave to actually care for your skin. With Water-Activated Moisturizing Serum & 5 Curve-Sensing blades with skin guards to help protect skin from irritation, the Hydro Silk razor leaves skin feeling silky smooth! And it&apos;s preferred over the leading 5 blade razor.